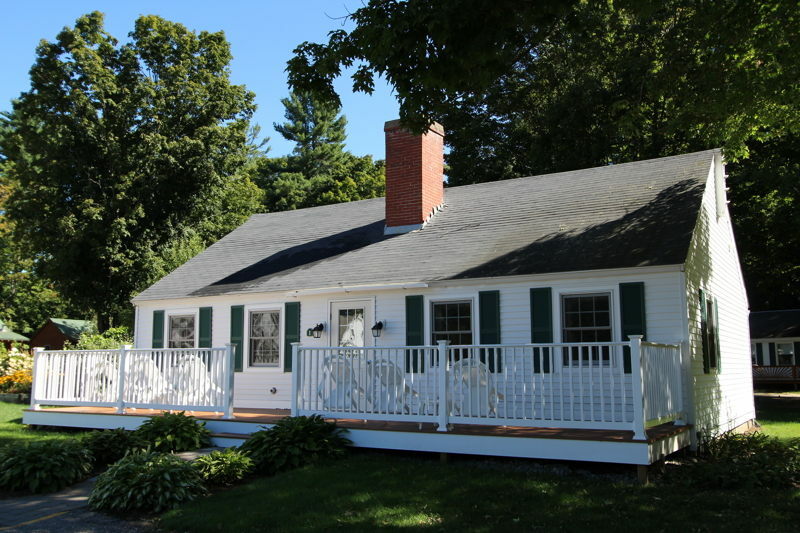 Looking for even more space for friends or family? 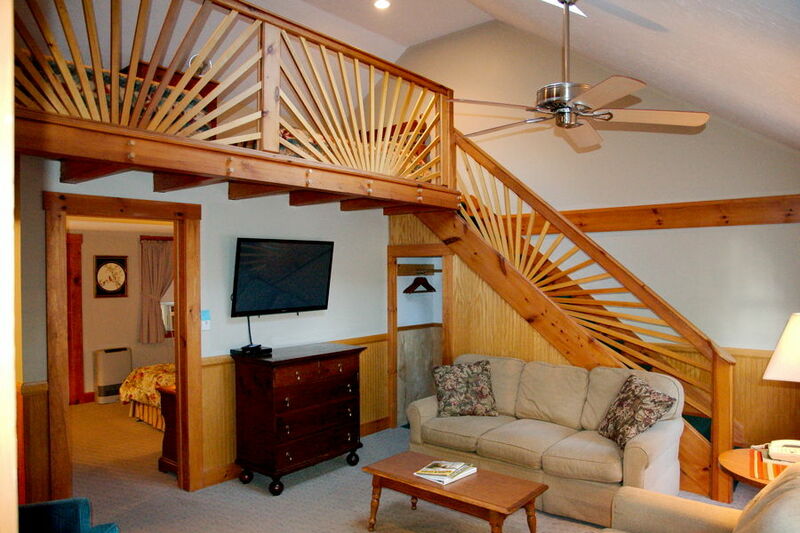 The Traditional Loft Suite has the space you need. 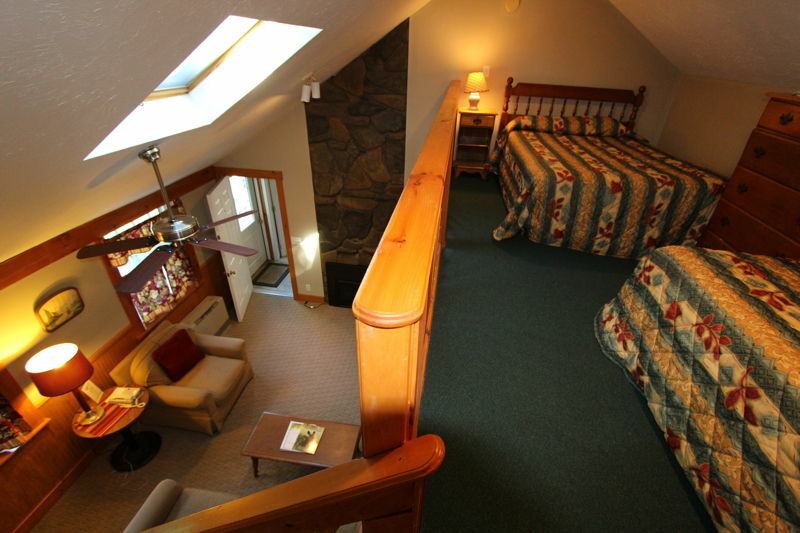 A King bed in the bedroom and a Double bed and Twin in the loft overlooking the living room. 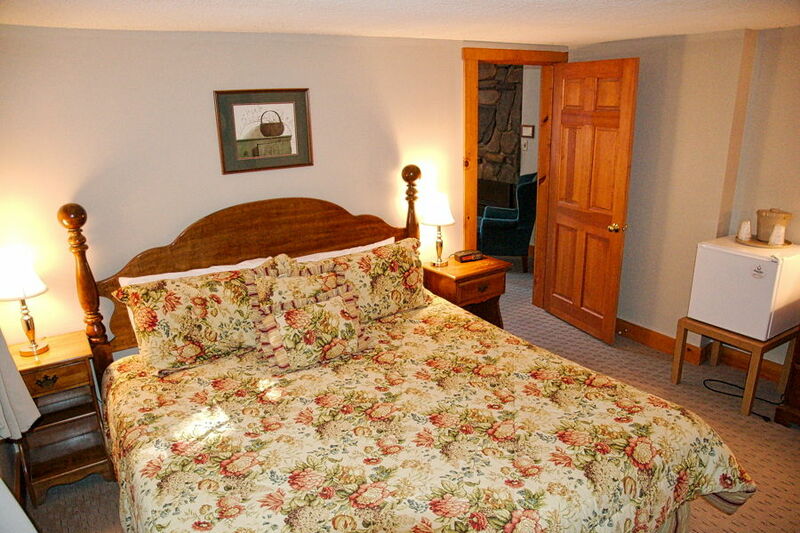 There is a seasonal gas fireplace, Cable TV and more. 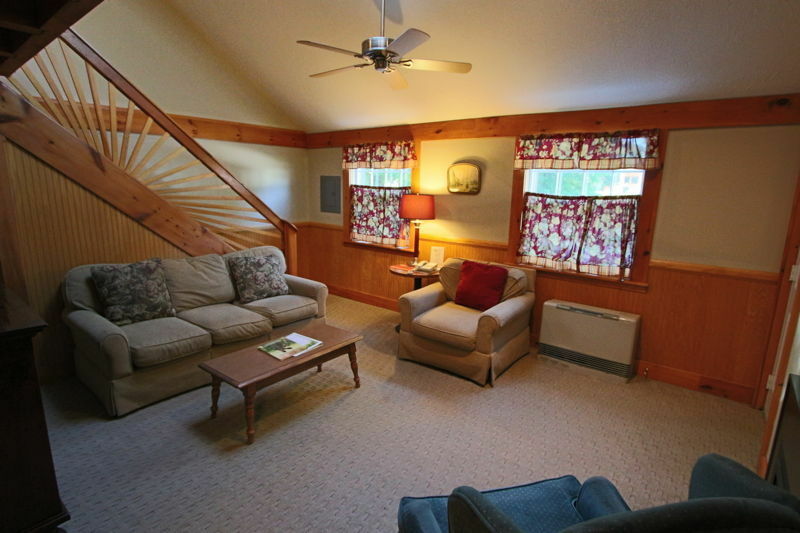 Contemporary Loft Suite Rates: $159. - $199.